↑ 2,0 2,1 "Best Actor". FilmSite.org. http://www.filmsite.org/bestactor.html. pristupljeno 17. 10. 2008..
↑ McGilligan, Patrick (1975). Cagney: The Actor as Auteur. A. S. Barnes and Co., Inc.. str. 11. ISBN 0-498-01462-2. ↑ "America's Greatest Legends" (registration required). AFI's 100 Years... 100 Stars. American Film Institute. 2005. http://connect.afi.com/site/DocServer/stars50.pdf?docID=262. pristupljeno 17. 10. 2008..
↑ Lobrutto, Vincent (April 1999). Stanley Kubrick: A Biography. ISBN 978-0306809064. http://books.google.com/books?id=fU78LdDClHUC&pg=PA420&lpg=PA420&dq=kubrick+cagney&source=web&ots=uyG8F6Dajc&sig=A9QYs2Mv9APYXcoJp2gE0Ya4pI8. pristupljeno 01. 11. 2007..
↑ McCabe, John. Cagney. New York Times. http://webcache.googleusercontent.com/search?q=cache:ylsIo07rz2kJ:www.nytimes.com/books/first/m/mccabe-cagney.html+%22James+Cagney%22+Norwegian&hl=en&gl=ca&ct=clnk&cd=30. pristupljeno 01. 11. 2007..
↑ 10,0 10,1 10,2 Cagney, James. Cagney by Cagney. Doubleday. str. 2–19. ISBN 0-385-52026-3. ↑ 11,0 11,1 Warren, Doug; James Cagney (1986) . Cagney: The Authorized Biography (Mass Market Edition izd.). St. Martin's Press. str. 3–11. ISBN 978-0-312-90207-0. ↑ 13,0 13,1 13,2 13,3 13,4 13,5 13,6 13,7 13,8 13,9 Cagney, James. Cagney by Cagney. Doubleday. str. 22–38. ISBN 0-385-52026-3. ↑ 14,0 14,1 Warren, Doug; James Cagney (1986) . Cagney: The Authorized Biography (Mass Market Edition izd.). St. Martin's Press. str. 21–30. ISBN 978-0-312-90207-0. ↑ 15,0 15,1 15,2 15,3 Warren, Doug; James Cagney (1986) . Cagney: The Authorized Biography (Mass Market Edition izd.). St. Martin's Press. str. 30–37. ISBN 978-0-312-90207-0. ↑ 16,0 16,1 16,2 Warren, Doug; James Cagney (1986) . Cagney: The Authorized Biography (Mass Market Edition izd.). St. Martin's Press. str. 41–50. ISBN 978-0-312-90207-0. ↑ 17,0 17,1 17,2 17,3 17,4 Warren, Doug; James Cagney (1986) . Cagney: The Authorized Biography (Mass Market Edition izd.). St. Martin's Press. str. 50–59. ISBN 978-0-312-90207-0. ↑ 18,0 18,1 18,2 18,3 18,4 18,5 18,6 18,7 Warren, Doug; James Cagney (1986) . Cagney: The Authorized Biography (Mass Market Edition izd.). St. Martin's Press. str. 59–67. ISBN 978-0-312-90207-0. ↑ 21,0 21,1 Dirks, Tim (2006). "The Public Enemy (1931)". The Greatest Films. http://www.filmsite.org/publ.html. pristupljeno 21. 03. 2008..
↑ "Cover Image". Life Magazine. 16. 07. 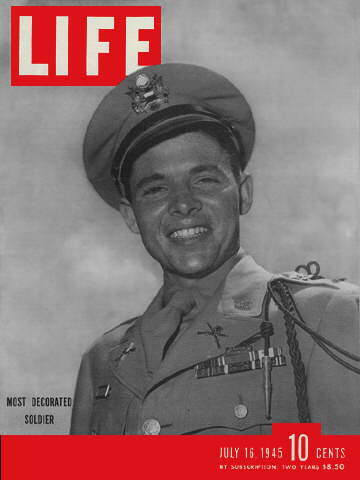 1945.. http://www.arlingtoncemetery.net/audie-murphy-life-cover-07161945.jpg. pristupljeno 01. 11. 2007..
↑ 45,0 45,1 45,2 45,3 45,4 45,5 Warren, Doug; James Cagney (1986) . Cagney: The Authorized Biography (Mass Market Edition izd.). St. Martin's Press. str. 205-222. ISBN 978-0-312-90207-0. ↑ "Biography for James Cagney". Internet Movie Database. http://www.imdb.com/ime/nm0000010/bio. pristupljeno 01. 11. 2007..
Cagney, James. Cagney by Cagney. Doubleday. ISBN 0-385-52026-3. Gallagher, Brian. "Some Historical Reflections on the Paradoxes of Stardom in the American Film Industry, 1910-1960: Part Six". http://www.slikasjournal.com/issue03/infocus/stars7.htm. pristupljeno 03. 03. 2008..
McGilligan, Patrick (1975). Cagney: The Actor as Auteur. New York: Alfred Smith Barnes. ISBN 0-498-01462-2. Warren, Doug; Cagney, James (1986) . Cagney: The Authorized Biography (Mass Market Edition izd.). New York: St. Martin's Press. ISBN 978-0-312-90207-0.